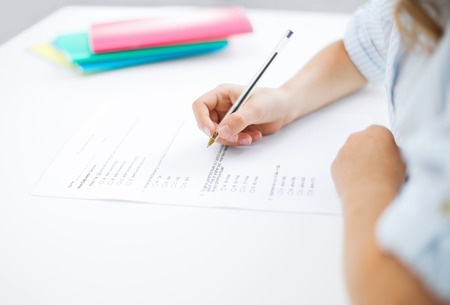 Entrance exams can be an intimidating barrier to returning to school. For graduate students, they may make the difference between getting accepted by the school of your choice and getting accepted at all. Your score can also position you for scholarships, fellowships, and other financial assistance and awards. Graduate Record Examination (GRE): The computer-based GRE takes 3 hours and 45 minutes and consists of three sections: analytical writing, verbal reasoning, and quantitative reasoning. Graduate Management Admission Test (GMAT): Most business schools rely heavily on these tests for narrowing the applicant pool. There are 4 sections that score analytical writing, integrated reasoning, verbal reasoning, and quantitative skills. Recently some business schools have started to accept the GRE, as well as the GMAT (students may take either), but be sure to check the requirements of each program. Medical College Admission Test (MCAT): Necessary for students entering a medical field. The test is given several times between January and March through September at hundreds of test sites. This exam should be taken the year before you plan to apply to medical school. Law School Admission Test (LSAT): Again, the scope of this test is very narrow; only those applying to law schools need take it. The LSAT has four sections: logical reasoning, analytical reasoning, reading comprehension, and a 30-minute writing sample. BOOK: GRE Premier 2016 with 6 Practice Tests: Book + Online + DVD + Mobile: Get access to in-depth strategies, test information, and practice questions to help you score higher on the GRE. BOOK: GMAT 2016 Official Guide Bundle: Everything you need to prepare for the GMAT® exam in one package.